You might be surprised by the findings; more libertarian states like West Virginia have much stricter laws to fight animal cruelty than some more pro-regulation states like Pennsylvania and New York. The worst states of all? 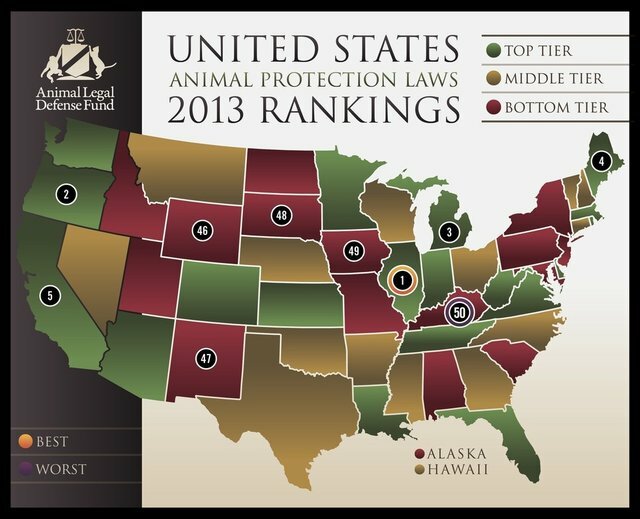 Kentucky, Iowa, South Dakota, New Mexico, and Wyoming are 2013's five best states to abuse animals, according to the latest report released by the national nonprofit Animal Legal Defense Fund (ALDF).